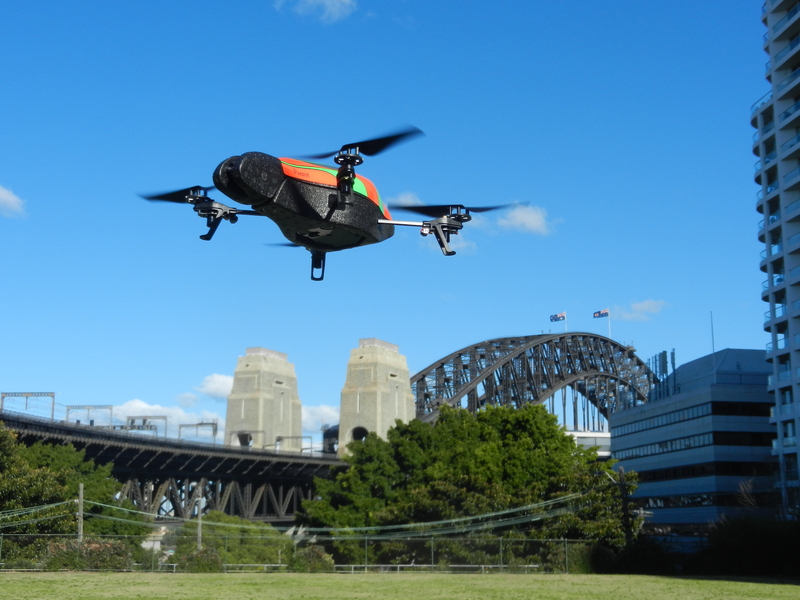 A beautiful sunny Sydney day and what better to do than take the AR Parrot Drone for a walk and buzz the Harbour Bridge? This was the first outdoor outing for my son’s drone and it performed amazingly well. Flying outside is easier than inside, as there are fewer obstacles, and the bigger space makes for some fun manoeuvres. Even some gusty wind didn’t phase the built-in software. These drones are just amazingly clever bits of kit.